Once one of the busiest ports for all of New Hampshire’s mill towns, Portsmouth has become a historic tourist destination with its walkable downtown waterfront and cafes around Market Square. If you’re taking a historic vacation to this Seacoast city, Moonlight Limousine can help get you there. Our Portsmouth car services are ideal for everything from wedding limos to airport transportation. 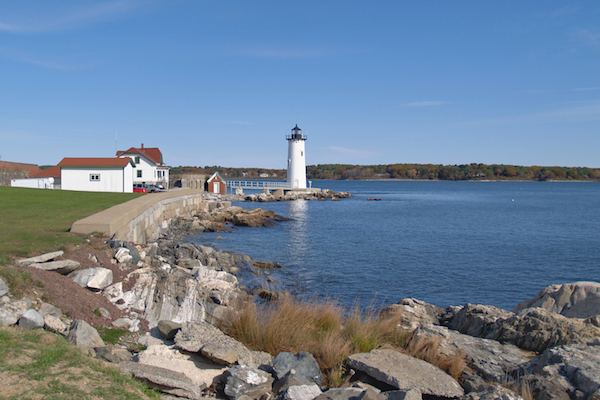 Portsmouth is one of the best vacation spots in New Hampshire, and Moonlight Limousine is ready to help you relax. Let us handle the driving. Portsmouth is considered the metropolitan hub of the Seacoast area along with Rochester and Dover because of its proximity to towns like Exeter, Greenland, and Rye. Some of the historical points of interest in Portsmouth include the North Church, Portsmouth Harbor Lighthouse, the Whaling Whale at the Cabot House, the USS Albacore Museum & Park, the John Paul Jones Historic Hous, the Portsmouth Music Hall, and the Children's Museum in Dover. It’s also close to great shopping at the outlet malls in Kittery, Maine, as well as Newington, NH. Whether you enjoy boating, fishing, canoeing, or just lounging around the beach, our car services in Portsmouth are the best way to your next trip. Moonlight Limousine can provide chauffeured car services to all of Portsmouth’s shopping and historic destination as well as airport pickups and drop offs. We can provide transportation to or from Boston Logan Airport & Manchester-Boston Regional Airport to Portsmouth or anywhere in New Hampshire's Seacoast. It's also the perfect way to start your vacation from Boston to Portsmouth, car services to hotels, vacation rentals, and more. Moonlight Limousine provides chauffeured car services throughout Portsmouth and the Seacoast. We offer a selection of vans, town cars, and limousines for all your travel needs! If you’re looking for an airport limo from Logan or Manchester, Moonlight Limousine is the car service for you. We also provide prom limos, bachelor/bachelorette party limos, and wedding limos in Portsmouth. We can provide both wedding limousines in Portsmouth and guest transportation to or from local hotels. We offer a variety of Portsmouth wedding limousines including sedans, stretch limos, and the Escalade Limousine. The Escalade Limousine seats up to 14 passengers, perfect for large bridal parties. We work with wedding venues throughout Portsmouth, New Castle, Newington, and more . Concert are available at the Portsmouth Music Hal as well as the Prescott Park Arts Festival in Prescott Park. Reserve concert transportation in Portsmouth, NH, with Moonlight Limousine. Whether you need Portsmouth to Logan Airport car services or New Hampshire wedding limos, Moonlight can lead the way! Book a vacation or business car services from Boston to Portsmouth today!